GRAPHIC PHOTOGRAPHS DEPICTING the negative health impacts associated with smoking are to be placed on tobacco products, the Minister for Health has announced. James Reilly said that if the images “shocked” people into considering the impact of smoking “then the warnings will have achieved their objective”. The move comes on the back of research and evidence from other countries which suggest that photographs are an effective way to discourage smoking and informing people about the health risks. Every year, premature deaths caused by tobacco use in Ireland are far greater than the combined death toll from car accidents, fires, heroin, cocaine, murder and suicide. The Minister has approved and signed the regulations (PDF) which will introduce the photographs already, but they won’t fully come into effect for some time. 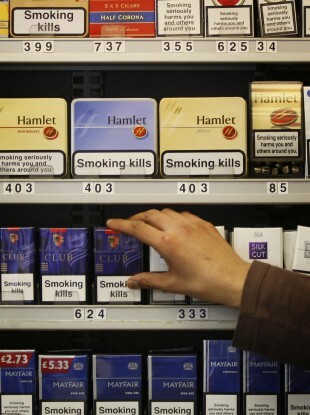 All tobacco products placed on the market on or after 1 February 2013 will have to comply with the new regulations – while any tobacco products already for sale prior to 1 February 2013 can still be offered for sale until 1 February 2013. The graphic images can be seen in this PDF from the Department of Health. Email “Graphic photographs to be placed on cigarette packets”. Feedback on “Graphic photographs to be placed on cigarette packets”.